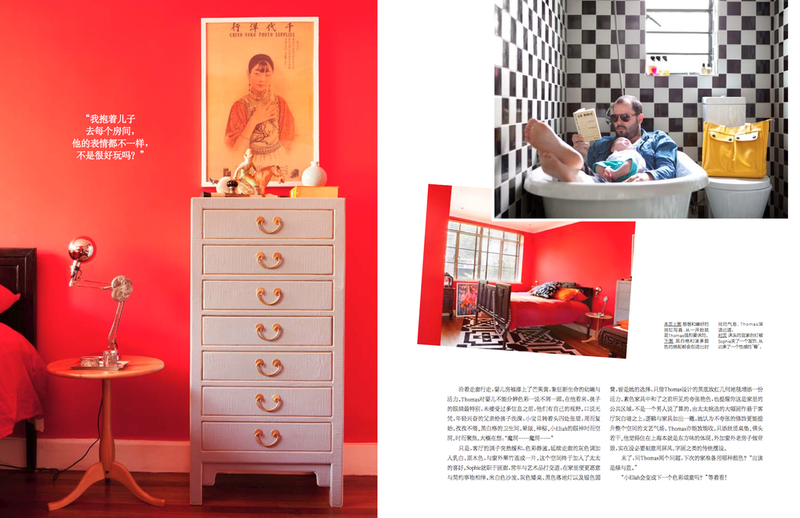 WHERE: Various homes scouted by AD Magazine and crowned some of the most beautiful architectural houses in China. Limelight covers many of the homes out of Shanghai. 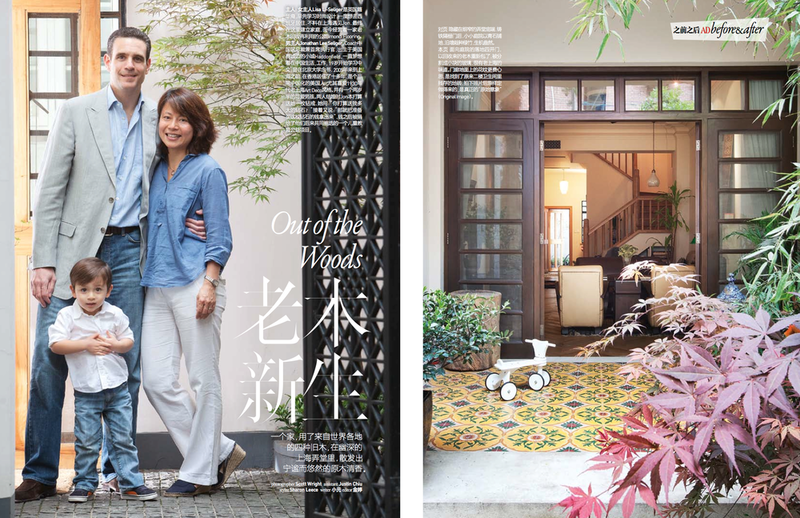 WHY: Limelight Studio was asked by Architectural Digest China to join them in visiting some of the most architecturally interesting homes located in Shanghai and capturing their charming style. HOW: When shooting interiors with AD, all shots for a home usually start mid-morning and end in the early afternoon (all within a single day). Stylist(s) with the magazine scout out the homes before hand and choose key aspects they want to highlight. Then, on the day of the shoot, Limelight will go through again with the stylist(s) and decipher which composition and angle will best represent each feature. Since these homes are chosen for their spread and charm, it is extremely important to have a natural feel, true to the color and lighting of the home, therefore minimal lighting is typically used when compared to our hotel interiors. 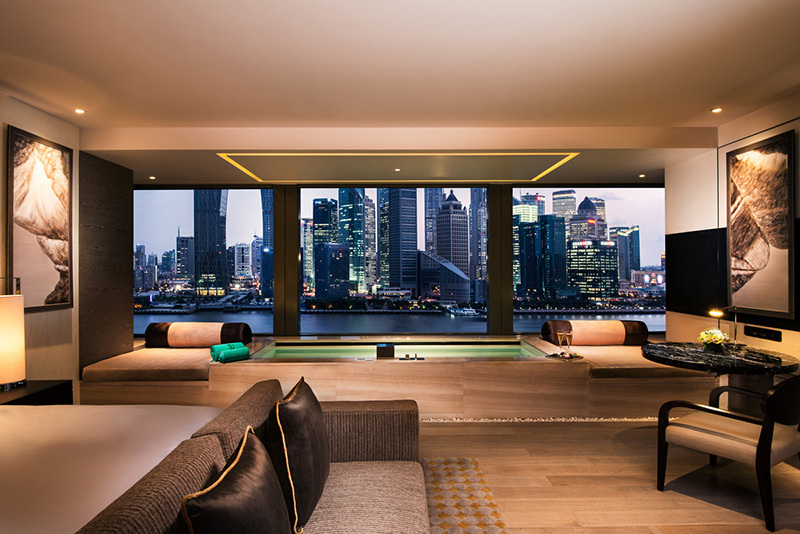 WHY: The Taiwanese magazine reached out to Limelight Studio for a number of interior shots of the PuLi Hotel and Spa, which is highly recognized for its unique structural layout creating a relaxing and peaceful environment right in the heart of bustling Shanghai. HOW: The enticing entrance lobby at the PuLi produces a warm inviting natural light from its floor to ceiling wide paned windows therefore minimal lighting was required to enhance the beauty of the lobby. There were just a few highlights added to give a bit of an emphasis to the furniture in the room such as the cabinet and chairs. A 5 shot bracket in 1-stop increments was done, and the shots were then combined in post-production with a combination of the selectively lit areas. If you look closely at the clouds, what do you see? A friend pointed out an image of a dragon breathing fire down onto the city. Another said it looked like a bird flying across the city. WHY: This thunderstorm was one of the biggest storms during the year causing power outages, hail, and various flooding throughout the city. Missing this moment to capture the grandeur of this storm was out of the question. 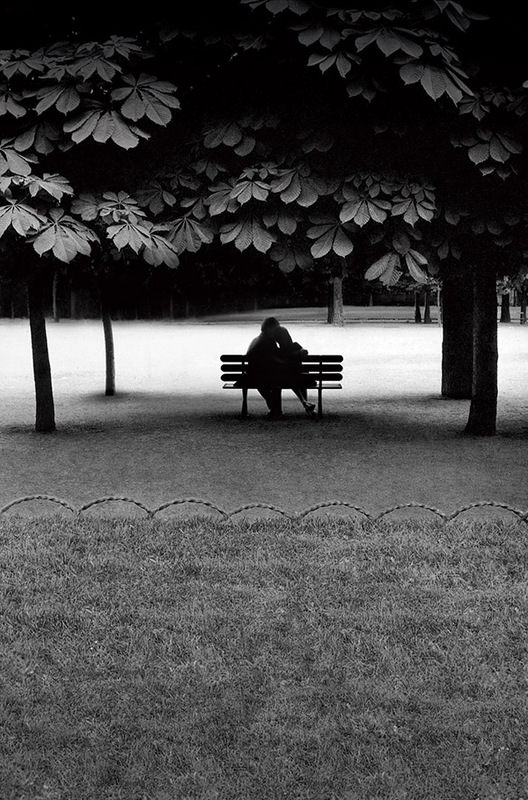 HOW: This photograph was shot with only a tripod during a period of a couple of minutes. Scott grabbed the second camera that he had brought along with the tripod and hurried over quickly to take the shot before the storm passed. 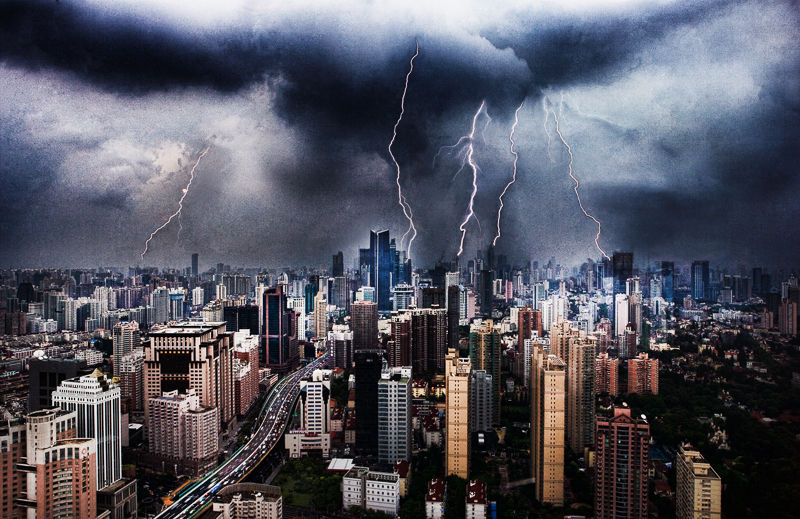 Usually, to capture an image like this, you need to use a fairly long shutter speed to capture the lightening striking down on to the city but for this instance, the storm came in during the day and despite the clouds and thunderstorm, the skies were still quite bright. There are difficulties taking long exposures during the day because of the added light, so Scott had to find the perfect balance not to overexpose the shot but capture the lightening as well. WHY: Banyan Tree wanted promotional photographs for their rooms and suites to show a quiet escape from the hustle and bustle of city life. They wanted their photographs to portray a quiet serene getaway feel with warm colors as well as the great view of the Huangpu River and Shanghai’s skyline. HOW: For this shot, the pool and the view were the most important aspects of the room, therefore we decided the best angle to represent these aspects in addition to the feel and space of the area, was through a straight on shot. The lighting needed to accentuate the existing mood, so we enhanced the existing lighting, while selectively choosing a few features to give an extra kick and highlight. There were extra lights added to the hotel’s overhead lights to emphasize the lighting on the cushions as well as the pool. Then, the couch was lit to show a bit of the texture of the fabric and to add a bit of contrast with the finish of the wood flooring. Lastly, to get a clear shot of Shanghai’s skyline, we went to the rooftop of the Banyan Tree to get a clear unobstructed long exposure to achieve a nice glow of the building lights (we always try to mimic the actual angle and view to stay consistent with the room), which complemented to the overall warm feel of the image.